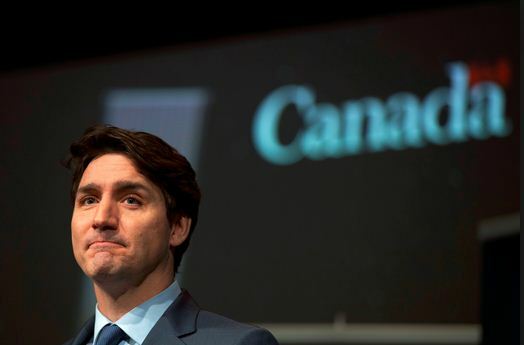 Prime Minister Justin Trudeau’s government, has been advised to come out with the full story surrounding the SNC-Lavalin scandal if it ever wants to see the back of the scandal. This warning is coming from The Globe and Mail who insist that the Prime Minister has to make his case, and he has to do it now. The article acknowledges that the fact that the Prime Minister’s former principal secretary, Gerald Butts, would be appearing next week before the Commons justice committee is a good start. However, they find it discouraging that several other senior officials named inMs. Wilson-Raybould’s testimony, have not been asked to appear at the committee. A lot of people had expected Trudeau’s defence against these allegations, to be a lot more serious, than what he is putting up at the moment. A lot more is expected to be revealed soon, as Ms.Wilson-Raybould had hinted during her last testimony, that there is still a lot more to be said on the matter, but only if and when restrictions placed on her by cabinet confidentiality are fully removed. It goes without saying that Trudeau’s defence and what Canadians make of it, would go a long way to determine who wins the elections coming up in October. Fortunately for the Liberal party, there is still a lot of time between now and October to do damage control. However, now is the time to start but it does not seem like they have started. Instead, they have been weirdly passive about the entire scandal, only putting out watered down defensive statements. The article quotes Statistics Canada who recently reported that the country's child-poverty rate fell, again. It hit a recent peak of 15 percent in 2012, but it's now down to just 9 percent. This, they say is owing partly to a signature Liberal policy, the Canada Child Benefit, which has boosted the incomes of middle- and lower-income families with children. The number of families of all types living in poverty fell, down to 9.5 percent in 2017 compared to 10.6 percent in 2016. Poverty among seniors fell to just 3.9 percent. Unemployment is at lows not seen since the 1970s; incomes are rising for the middle class. Some of these improvements are the handiwork of the Liberal government and their good works would have likely returned them to office this coming October as suggested by the polls. Then the SNC-Lavalin scandal happened. The events following these allegations might cost the liberals the October elections if they do not act quickly.